Listed below are some of the local parks to explore! 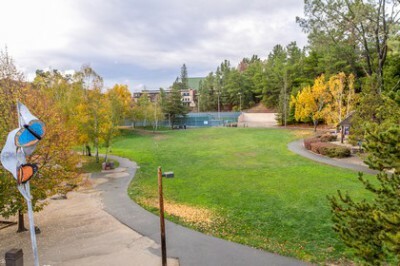 "The 11 acres of park accessed off of Moraga way between Hall and Ivy Drives is a wonderful place to enjoy group picnics, play some volleyball, horseshoes and pétanque or just relax! 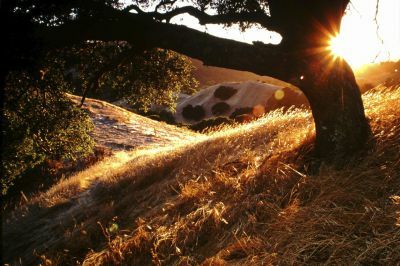 Orinda Oaks Park is also a trailhead to the adjoining 110 acre Orinda Oaks Open Space Preserve which has a myriad of trails that interconnect with great views all capped off by the 360 degree panoramic view of Mt. Diablo and surrounding communities. These valuable two park areas improve the quality of life for our citizens and promote health and wellness. The parks also serve to protect our natural resources and are important areas for wildlife and habitat. Over the years the trails, picnic and play areas were built with many volunteers and fundraising. The OPR Foundation provided the vehicle for citizens to purchase the open space preserve. Take a few hours out of a weekend or some evening after work and enjoy a getaway in your own community!" 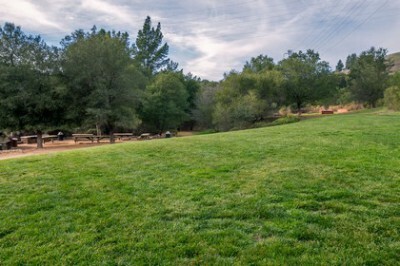 Orinda Community Park has lots of trees and shade surrounding the park. It is adjacent to the Orinda Community Center building. 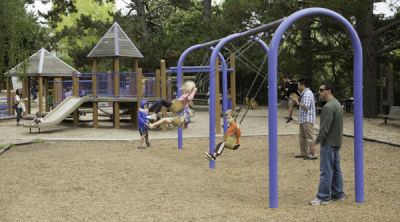 It is the only park in Orinda with play areas. The two play areas are separated by a large lawn. The tot play area has sand covering, the water feature in the sand pit, a tire swing, swings, a bouncy teeter-totter like structure, and the play structure. The big kid play area has two zip lines, a tall play structure, a small climbing wall with a rope, a small tunnel, a spiral slide and a firefighter's pole. In addition to the two play areas there are lighted tennis courts, a gazebo/bandstand, shaded picnic areas, an amphitheater, and restrooms. As part of the planned renovation of the park, the OPR Foundation intends to add an area near the tennis courts that will include senior exercise equipment. During the Spring and Summer, our Foundation sponsors music concerts and family movies in the large grassy area in the center of the park. 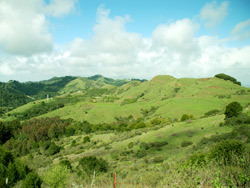 East Bay Regional Park District's Tilden Regional Park, Redwood Regional Park, and Briones Regional Park, Kennedy Grove and some 60 others. East Bay Municipal Utility District's San Pablo Reservoir, Lafayette Reservoir and nearly 80 miles of trails on 27,000 acres of their watershed lands that require a permit. The John Muir Land Trust has several properties near our community that offer access to open space trails.